Open Source Digital Audio CD Extractor. 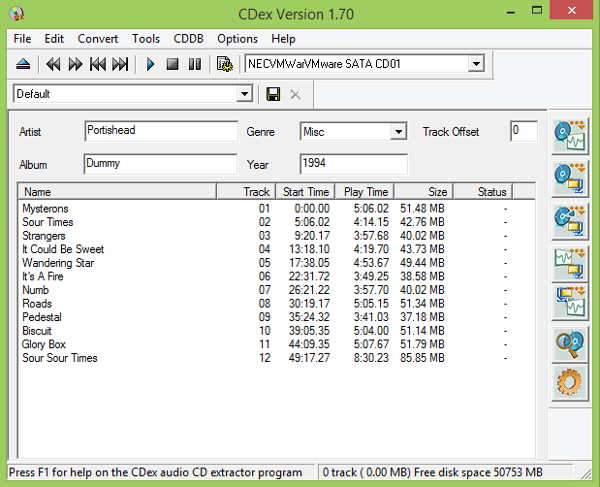 CDex can extract the data directly (digital) from an Audio CD, which is generally called a CD Ripper or a CDDA utility. The resulting audio file can be a plain WAV file (useful for making compilation audio CDs) or the ripped audio data can be compressed using an audio encoder such as MP3, FLAC, AAC, WMA or OGG.